Here is a great place to share on what your organization did to celebrate the holidays. This could be pictures from an office party, your decorations or perhaps how your company volunteered to help out a charity. Whatever you do special this time of year, be sure to share it! As we’re looking to the upcoming Holidays, be sure to post your hours of operations for the holiday. This can apply to almost any business. Even if you’re a 24x7x365 operation, be sure to state that as well so your customers know that you’ll be open over Thanksgiving, Christmas and New Years. If you have modified schedules or perhaps only an answering service, be sure to share that. Make sure you take a moment to show your commitment to customer service in the way you present your information. Also take the moment to pre-schedule your Holiday Greetings to your clients on a separate blog celebrating the season with them in whatever fashion is appropriate for your company. Also think of other ways you may want to spread the holidays in your homepage design or even in other technologies such as your voicemail greeting or e-mail signatures. 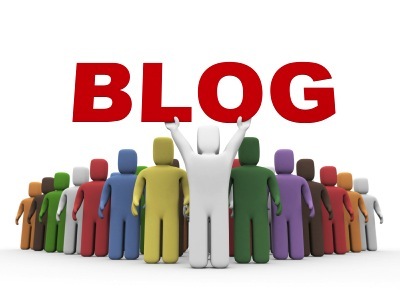 Here is a great use of blogs… start to enter in your client testimonials onto your blog! Be sure to provide enough information to make the testimony appear valid, such as partial name and city, or other such identifying information. Another source you can freely choose to grab is from online website reviews such as yelp or insider pages, freely copy their testimonials onto your own website and simply provide a link back to the source as your validation of the testimonial. Be sure to think about what level of client confidentiality you need to maintain, which is industry specific. Also, it is generally a good idea to include all errors as they appear in the testimonial to retain their genuine feel. However feel free to edit as necessary but clearly indicate where you’ve done that. Also I will create a specific tag or category in the blog software and use that to feed an RSS reader on my website so it will show the most current (or perhaps select one out of the most recent 3) testimonials to display on the website. Each day family members and loved ones are diagnosed with cancer. This year I am joining with The Leukemia and Lymphoma Society to help bring an end to cancer through research for better cures and effective treatments for blood cancers. Jaimie and I will be running a half-marathon to help raise awareness and help fund this important research. Please JOIN ME today by donating to this great cause! Donate to Cancer Research Today!